Like most able-bodied adults, a large portion of your day is spent at work. No matter if it’s an office, your home or countless other working environments, a large part of our lives involve being on the job. But while we’re working hard to make a living, dedicating ourselves to our specific tasks often means hours and hours of inactivity – behind a desk, a counter or a machine – which limits physical activity. At least activity that counts as exercise. Numerous studies show that inactivity leads to a lower quality of health, while being active helps build a stronger body – and mind. So, during Professional Wellness Month, discover 5 walking tips to help keep you physically and mentally healthy, by moving about throughout the day. Park farther away from your work entrance so you have a bit of a jaunt into work. If you live close enough to walk from home, that’s even better. During lunch, walk 15-20 minutes away from work, and walk back. In 30-40 minutes, you’ll have given yourself an energy boost that also helps control weight and builds up your cardiovascular system. Use a pedometer or smartphone app to log how far you walk every day and set personal goals to increase your distance. Set an alarm on your phone that reminds you to get up and walk every hour. 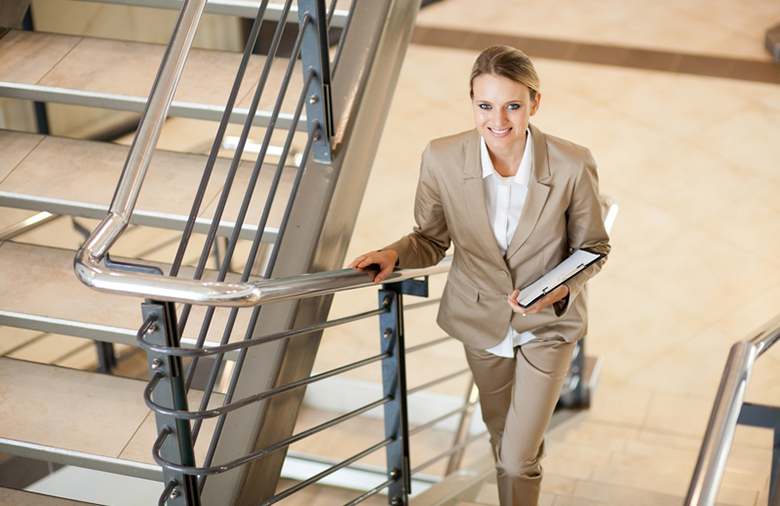 Instead of emailing or sending something via interoffice mail, take the stairs and deliver it yourself. If you need help getting motivated or want to encourage others to get healthier too, form a walking group or even a department walking team. Create some friendly competition to see who can walk the farthest each week. While still getting their work done, of course. Consider sharing this information with your circle of co-workers or bring it up at your next department meeting.